Please be aware that the meeting planned for tomorrow (Thursday 1 March) to discuss provision for homeless people has been cancelled due to the bad weather. 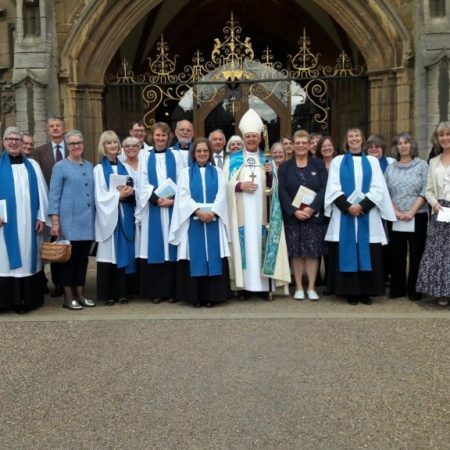 On the Feast of Candlemas we said goodbye to Team Vicar, Revd Canon Julie Hutchinson, and her husband, Reader, Phillip, as she moves to a new house-for-duty post in the Leicester Diocese. 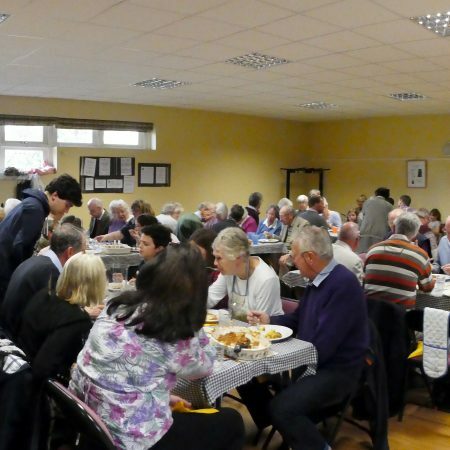 A supper of baked potatoes and delicious fillings was followed by a reflective service led by Ann Blackett, including music from Taize and Iona. Do you drive to church? 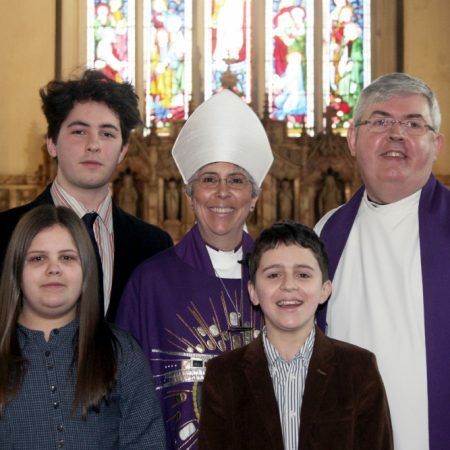 At the 10:30 Family Service at Oakham next Sunday, 11th February, we will be preparing for Ash Wednesday. Traditionally, we use ash from burning last year’s palm crosses. If you have kept a palm cross from last Easter, please would you bring it to church? 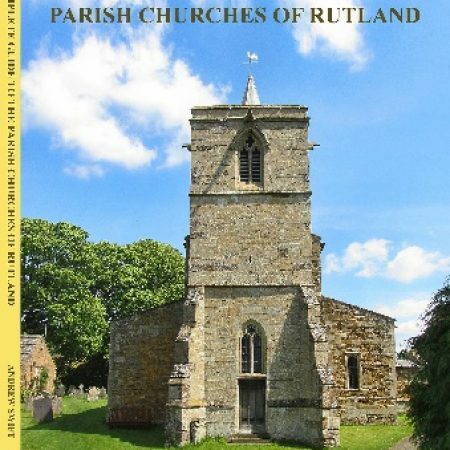 It has been announced that the new Rural Dean of Rutland, to succeed Lee, will be Revd Jane Baxter, Vicar of Lyddington. If you can help with knitting chicks for Easter please can you contact Margaret Tyler (01572 724799 or margaret.tyler@oakhamteam.org.uk). Pattern available. St John & St Anne is an Almshouse Charity providing quality homes for retired people in receipt of a state pension. If you can live independently, and are looking to downsize but cannot afford to buy property locally, please call for further information – 01572 756950 or visit our website www.stjohnstanne.co.uk. We never cease to be amazed at the generously of people in this area in helping those who, for whatever reason, have need of the Foodbank in Rutland. A special mention to those who did reverse advent calendars and those who sponsored a hamper. Many, many thanks to you all – it means so much to people less fortunate. Rutland Foodbank. An amazing amount of £1066 is the total for sales from last year’s Christmas catalogue, thank you SO much to everyone who made a purchase, it really does make a difference. The stall will be in Oakham Church after the 10:30 service on the following dates – 7th January, 21st January, 4th February, 11th February. Thank you for your continued support. Denise (722729). The Carol Service at Hambleton this afternoon has been cancelled due to the weather, and the difficulty in getting into the village. Thank you to everyone who has so far placed orders from the catalogue as well as buying at the various stalls. Sales are looking healthy and I will advise a total figure in the New Year. The last date for the stall before Christmas will be after 10:30 service at Oakham on 17th December. Denise. Thank you very much to the Co-op for donating our splendid Christmas Tree. Thank you to those who have volunteered to help with the delivery of the Welcome and Christmas Leaflets. Patrick Wilson will be giving out the leaflets and street lists to you after the 10:30am service today. We are pleased to be able to tell you that the toilet in the Mayhew Room in Oakham Church has now been replaced. Apologies for the inconvenience of it not being available over the last couple of weeks. Congratulations to Joyce Halliday, who on Wednesday last week at the Rutland Care Village communion service was presented with a certificate to commemorate 60 years membership of the Mothers’ Union by the Peterborough President, Barbara Haynes. pictured here with them is her son David, and some of our Oakham branch members. The practise for the Nativity Tableau is on Saturday 16 December 2017 at 2:00pm in the Church. All children wanting to take part should be there. Megan Davis is in charge. Please let her know if you are coming though it is alright to turn up on that day. The Tableau will be performed during the 10:30am service on 17 December. St Peter’s Brooke has recently had about 20ft of lead guttering stolen, so please be aware and vigilant with regard to lead theft – it’s obviously still happening. Oakham Late Night Shopping will be on Monday 11th December, and the church will be open as an oasis of calm amid the bustle of the rest of the town. If you are able to help serving mulled wine and mince pies, or can just be in church to meet people, please speak to Araminta Mathias. Ecclesiastical, who insure the church, are celebrating their 130th anniversary by offering a donation of £130 to the church for every new home insurance policy taken out before December 2018. If you think it would be worth getting a quote for your own house insurance, please see the website for more details. 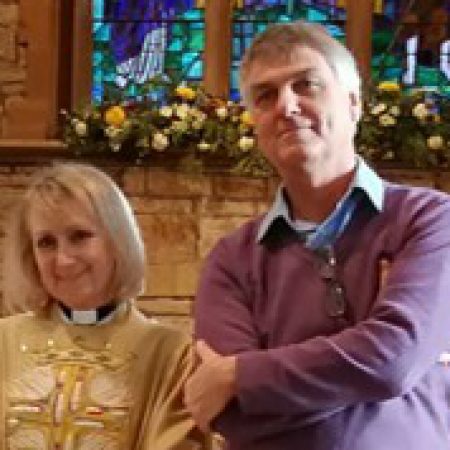 The Oakham churchwardens are organising leaving presents for Lee and Guli, and if you would like to make a contribution you can do so directly to them, or via the village churchwardens. An invitation to reflect on Advent themes through art, poetry and music as well as Scripture, using the popular Mapping Advent material. There will be both an afternoon and an evening group, meeting on alternate Tuesday and Wednesdays from Tuesday 28 November to Wednesday 20 December. More details. This harvest must be a record breaker for the Foodbank. We had 1.77 tons of food donated from 26 different churches, schools and nurseries which will help our clients for a good two months. Amazing, so a huge thanks to all concerned. Please let Gordon have your response to the Stewardship Campaign by Sunday 5 November if you have not done so already. Thank you to all those who have responded positively so far. More sheep are required for the Oakham Advent Travelling Cribs. If you can help please contact Margaret Tyler (01572 724799) for the pattern. We are expecting in excess of 600 people to attend the County Remembrance Service next Sunday at 2:30pm (armed forces personnel, public dignitaries & general public). To seat them all will involve moving pews and putting out chairs. If you can help for 10/15 minutes after the 10:30am service it would be greatly appreciated. Thank you, Peter Kinal. The new Pray with the World Church and the Transmission magazine for the USPG are by the South Door. Please collect them. Following a recent Committee Meeting of The Friends it is reassuring to know that the official offices can be filled after election when Beryl Kirtland steps down in March 2018. HOWEVER, Committee Members are URGENTLY needed to help plan and organise events. 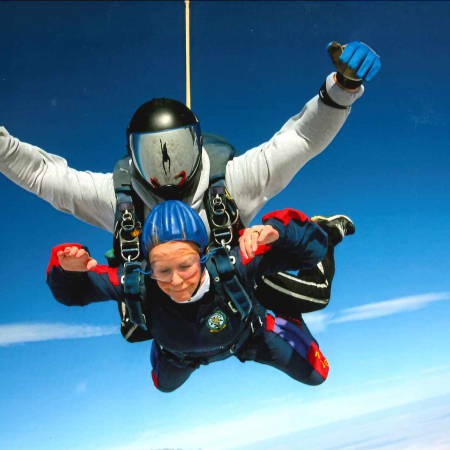 If you consider you might like to do this please contact Beryl (beryl@oakhamteam.org.uk), Liz Plummer or Brenda Blandford. 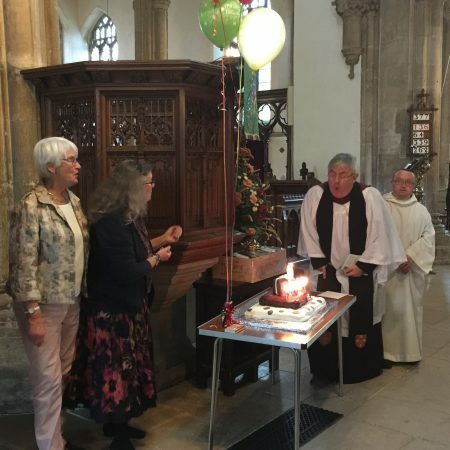 Our Team Rector, Lee, celebrated his 50th birthday on 14 October, and was presented with a cake on Sunday morning (15 October) at Oakham. Congratulations! Sales for the last 3 months have amounted to £625.86, a very good figure and averaging out at nearly £70 for each time the stall was held at Oakham over that period. As always a VERY big thank you to everyone who has made a purchase. Please see the separate notice for details of future stall dates. Denise (722729). Could you help the bereaved in our community? Members of the Oakham congregation should have received this week an invitation from Lee to the stewardship presentation next week. If you haven’t received one, and feel that you should have, please let the office know. Also, if you received it by post, but would be happy to receive such communication by email in future please let us know. George’s funeral service will be held at All Saints Oakham on Monday 2nd October at 11:00am.